I’ve always been a chronic headache-sufferer. Nothing too serious, just the mild, throbbing tension-type headache a couple of times a week and a good, old-fashioned migraine once a year. I learned early on to never go anywhere without two migraine pills and that despite what a Google search might have you believe, a small piece of milk chocolate early on in a headache can do a lot of good. Though I’ve known for years that I’m sensitive to light, I never realized that there was a simple solution. I’ve tried wearing sunglasses inside, but all that does is provoke countless questions as to whether or not I’m trying to make a fashion statement. But at my last optometrist appointment, the eye doctor pointed out an innovation that changed my life: anti-blue light glasses. You know how the blue light turns off when you activate your phone’s night shift? There are glasses that do the same. Not only are they a life-saver to someone like me who can’t sit under fluorescent lights without popping some ibuprofen, but they’re ideal for all of us who spend our days looking from one screen to another. Like my optometrist, Maggie points out that “studies have linked this increased exposure [to blue light] to the disruption of our circadian rhythms which encourage restful sleep. Some also believe it is a contributor to early macular degeneration. So even though I had begged my mother to let me get contacts when I was 12 because I hated how I looked in glasses, I decided to revert back to wearing a pair of frames for the sake of my head. And actually, after looking through The Book Club’s offerings, going for a pair of glasses was an easy choice. Deciding which frame to get was not. 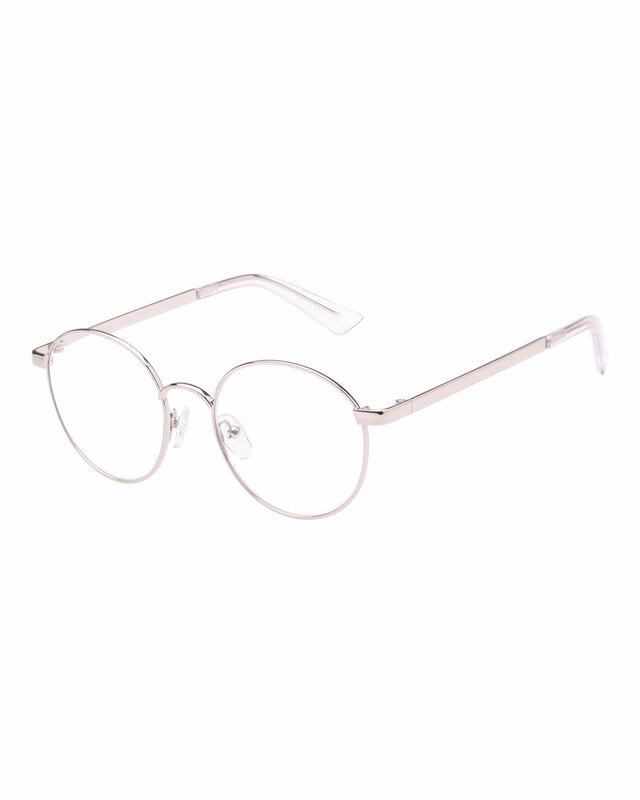 The glasses range from $30-$40, and are all super cute. There are a bunch of on-trend shapes like aviator or catseye, but also the classic rectangle or round. 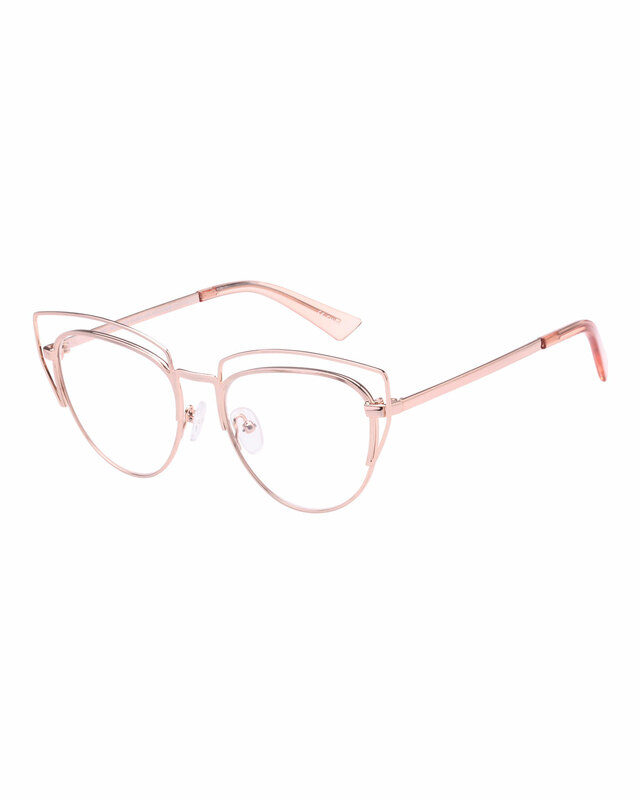 My knee-jerk reaction was to get a pair called One Hundred Beers of Solitude—a rose gold statement piece with a super on-trend catseye form. But as is the case with online shopping, I had no idea if they’d look good on me. I have a long oval face—some shapes look perfect on me, others, not so much. Could I really make such a bold move with this stunning frame? After much contemplation, I settled on a round frame called the Art of the Snore (I just love The Book Club’s product names) in a clear, cellophane color. 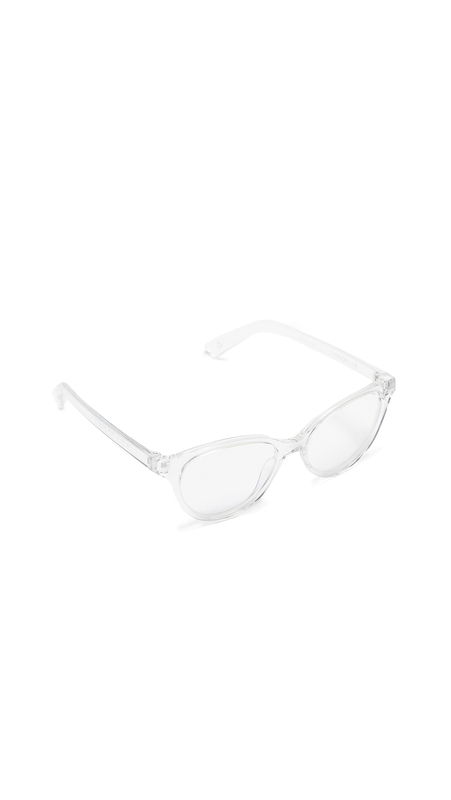 It’s not like these glasses weren’t visually intricate; the clear tone made for an utterly modern statement. I just don’t think I’m a bold enough glasses-wearer yet to venture into the unknown of the catseye. Six to eight business days later, my Art of the Snore frames came, and to my relief, I’d made the right choice. They looked quite stylish on me, if I do say so myself. But honestly, even if I didn’t like how the glasses looked, I would still wear them every day. Before my screen glasses, I would without fail get a headache by the end of an eight-hour day looking at a computer, every day. It was just something I had gotten used to. But now with my sleek little Art of the Snores, I can look at a screen 15 hours a day, and let’s face it—I do spend my days staring at screens.